Nothing can become official until the start of the new league year tomorrow, March 9, but that doesn’t stop the rumors from whirling. The next biggest one is that the New England Patriots want two first-round picks in exchange for quarterback Jimmy Garoppolo, as reported by NFL Network’s Mike Garafolo on Tuesday. Garafolo stated that one of these first-round picks would be for the 2018 NFL Draft. Teams that have shown interest in Jimmy G include the Houston Texans, Cleveland Browns, Chicago Bears and even the New Orleans Saints. But the Browns, who own the No. 1 and No. 12 pick in this year’s draft, are the ones who have been most talked about in going after Garoppolo. The Patriots only have him for one more year on his rookie deal, so they could wait until next year to trade him. 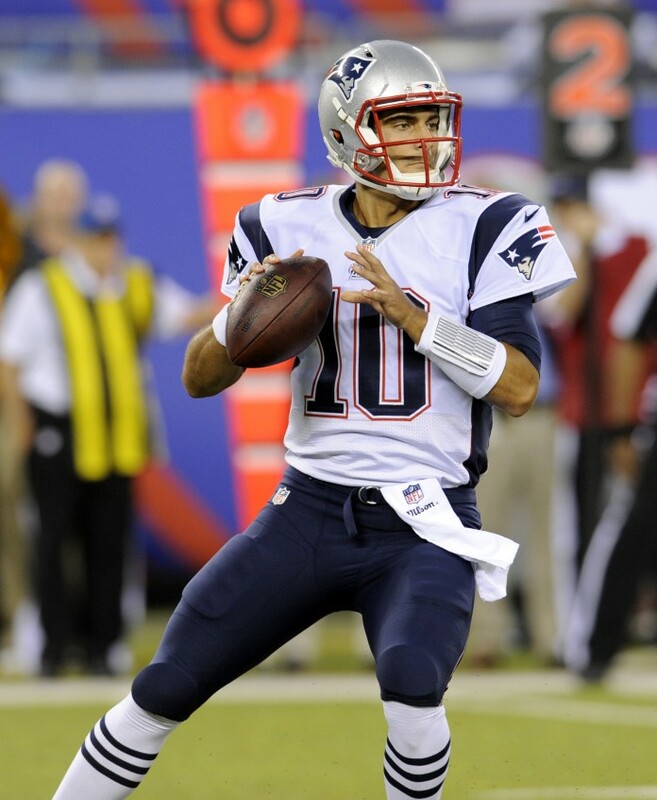 In his three seasons with New England, Garoppolo’s overall stats include 63-of-94 passes for 690 yards, five touchdowns and zero interceptions in 17 games, with only two starts. Oh yeah, and he’s the owner of two Super Bowl rings.